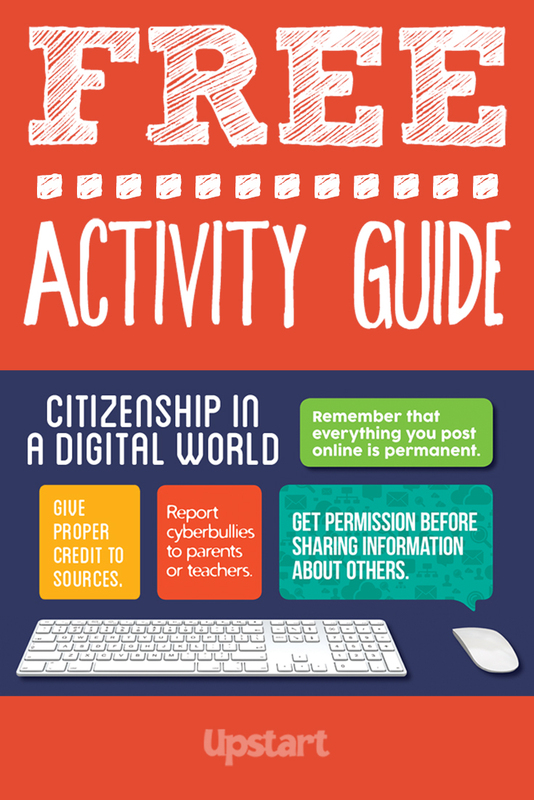 Packed with content, this activity guide will help students safely navigate the confusing and sometimes scary world of the Internet! 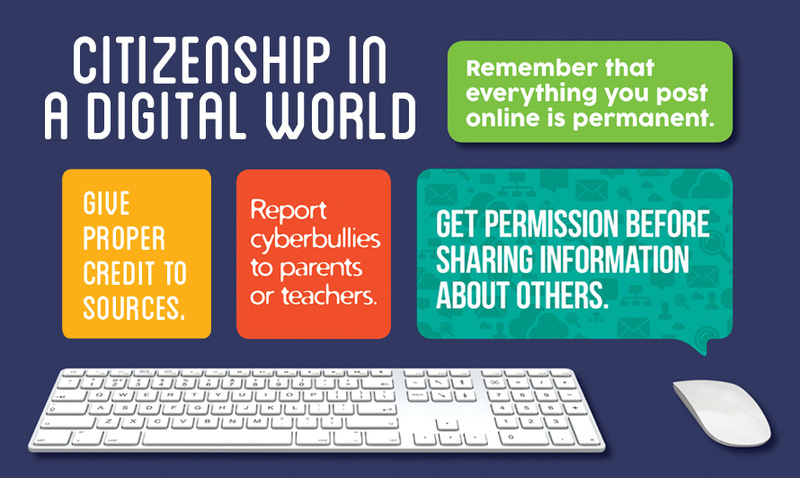 You’ll find interactive activities, online videos and games that give students practice in being good digital citizens in the 21st century. Students will learn how to surf the Web unscathed by building powerful passwords, protecting their personal information and practicing proper netiquette. For a visual reminder of how to be a good digital citizen, you may also be interested in Upstart’s complete information literacy theme.